According to FactMag, on Reddit yesterday a video posted by Daft Punk was dug up from Youtube, and the contents seem to hint at a pending tour from the French electronic duo. The video opens with the cheers of a crowd and transitions into buzzing electronics. Visually, the 51 second long video titled ALIVE 2017 features a glowing geometric logo, that slowly but surely becomes illuminated. At the bottom of the story in the information section is a series of 8-digit codes (three rows of 13, totalling 39 in all), which some internet users have surmised could hint at GPS locations of concert appearances (though it’s been pointed out that the first location would be the very-unlikely setting of Chad in Africa). Not only that, but a website, Alive2017.com, was discovered. The no-longer-working site also hinted at the possibility of tour dates, with source code that could be construed to be coordinates for Los Angeles, Indio, CA, New York, Tokyo, London, Paris, Sao Paulo and Ibiza. Of course, the announcement of Coachella 2017 last week featuring a lineup that does not include Daft Punk pokes some holes in that theory. 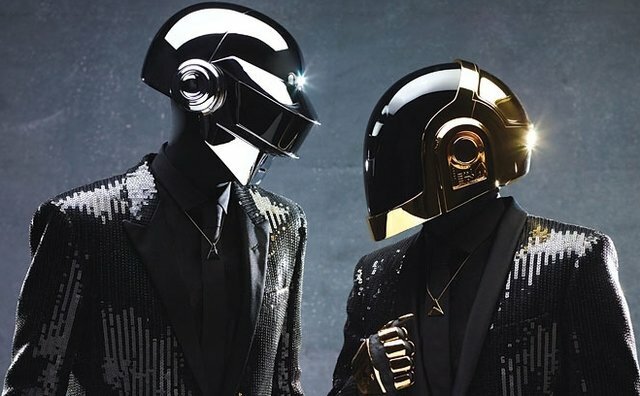 Plus, there was that story from Consequence of Sound last year in which an industry insider completely slammed the door on any hopes of a Daft Punk tour in 2017, stating in no uncertain terms, there will be no touring for the duo in 2017. Back in 1997 and 2007, the band released live albums, logically titled Alive 1997 and Alive 2007. With that info in mind, the video title could be a hint at a live album, which would certainly hold the pattern the band set with their first two live collections. Whatever the numbers mean, the band appears to be ready to announce some information in the near future. The band has been active lately, appearing on The Weeknd’s hit singles “I Feel It Coming” and “Starboy,” which actually netted the band their first number one single.